From the last few years, accounting software is becoming the needs of every business owner whether it was a small business or large scale business. But when it comes to the accounting software then the QuickBooks is one of the well-know which comes first to our mind. It is very easy to use as it is all in one accounting software, which helps to manage any kind of business accounting records. To use this QuickBooks software if you are looking for a laptop but have no idea which is a perfect laptop for that then don’t worry because this is the reason I have created this laptop buying guide. Actually, QuickBooks available in two different variants such as QuickBooks for Desktop and QuickBooks for Online. For the first one, you need to install the software through CD on your laptop and for the second one you can access through the internet from anywhere. Are you thinking that the same configuration laptop works for both? Then you are wrong because QuickBooks for Online is a Software as a Service (SaaS), which is an advantage because we can access by using the internet on any device. And for that, you don’t need to spend much because any low specs laptop can do this thing by using internet connection. But if you are going with QuickBooks for Desktop then you need some decent hardware configuration laptop and that’s why you should to check first its system requirements. By doing this you will get a better idea during choosing the laptop for yourself. But here you don’t need to worry about anything because I have checked the system requirements and based on that I have listed all the below laptops in this list. 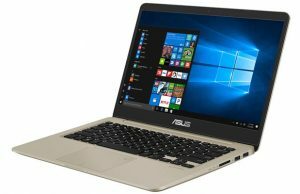 At $509.99 budget this ASUS VivoBook F510UA is the best budget laptop for QuickBooks because it fulfills all your accounting as well as other requirements. The build quality of this VivoBook is durable and its look attractive in Star Gray metal finish. This VivoBook comes with the latest set of hardware configuration, 8th Generation Intel Core i5-8250U processor with turbo boost up to 3.4GHz and paired with 8GB of RAM. For the storage, it has got huge 1TB of HDD drive which is good enough storage space to store all your files and data. The best part about this laptop is that all these specs are wrapped in 0.8 thin profile with 3.7 pounds of weight. It comes with standard 15.6-inch of Full HD Anti-glare Wideview display with a stunning 80% screen to body ratio, which gives an amazing viewing experience. The battery life is also decent of this device which provides up to 5 hours of battery backup. This notebook features a fingerprint sensor which allows you to sign in to the system with just a single touch. If you are planning to buy a budget laptop which you can use for accounting and also for other tasks also then Acer Aspire E 15 is a good choice for you. And this is an Amazon’s Choice laptop so there is no doubt that this is not a good option in a budget. This Acer laptop got an attractive design aesthetic with a black finish which gives professional look and feels. It has 15.6 inches of full HD widescreen LED-lit IPS display with 1920 x 1080 pixels of resolution. If you like to play casual games on your laptop then it fulfills your gaming needs as it comes with 2GB of NVIDIA GeForce MX150 dedicated graphics card. This laptop is equipped with 8GB of DDR4 RAM and 256GB of SSD drive and it has faster read/write speed than the HDD drive. The battery life of this laptop is impressive, it provides up to 15-hours of whole day battery backup which makes it an ideal in this list. In case if you want to expand its Hard Drive and Memory then its convenient compartment door allows you to do that with ease. The audio of this laptop is powered with the Acer TrueHarmony which impress you by delivering a good range of bass and boosts volume that it fills the surround. If you like this laptop but don’t have this much of budget then I suggest you go with its another variant which comes with i3 processor which costs you less. If you like Dell laptops then here is the Dell Inspiron 15 5000 which is just for you. As we all know Dell is known to build powerful specs laptop in durable build chassis also at affordable price. 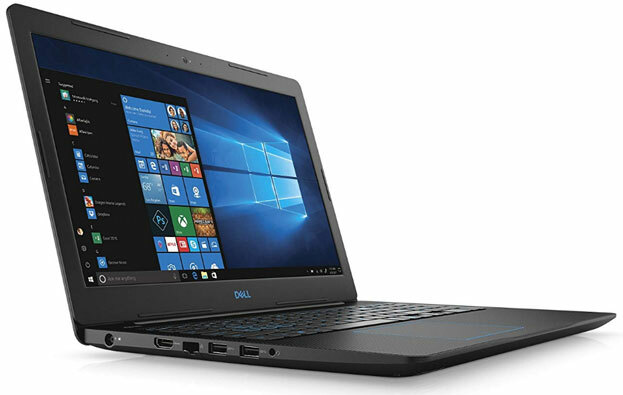 Under $600 budget this Dell laptop provides the latest specs along with touchscreen display which makes it an ideal. This Dell laptop looks premium in a matte black metal finish which is perfect for a business person. It sports 15.6 full HD Truelife LED-Backlit touchscreen 1080p display which delivers crisp and clear visuals. It has 8th Gen Intel Quad Core i5-8250U processor and coupled with 12GB of DDR4 RAM, which is good enough to deliver a buttery smooth working experience. This Dell laptop runs on the Windows 10 operating system and for the storage, it houses huge 1TB of HDD drive. Connectivity is your main concern then it comes with all the essential ports and slots with an optical drive. To handle some graphics related task on this notebook it has Intel Integrated 620 Graphics but it is not capable enough for high graphics intensive task. The keyboard of this laptop is a full-size backlit keyboard with numeric keypad which provides a comfortable working experience. 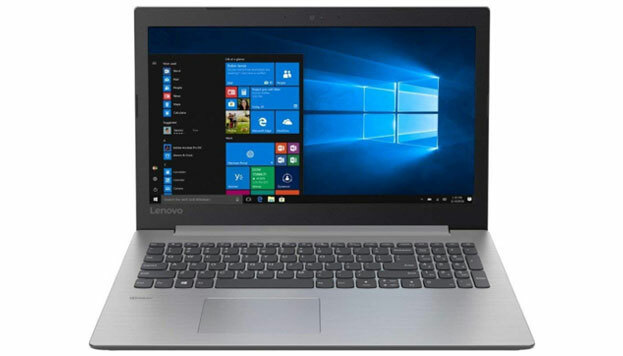 Lenovo’s Ideapad series is one of the most popular series laptops for business purpose and this Lenovo Ideapad 330 is from that series. If we talk about the design of this notebook, it has got a sleek and stylish look in a Platinum Gray. This laptop met and surpassed all the needs for accounting and entertainment. It comes with 15.6-inch of Full HD LED-Backlit display with integrated Intel UHD Graphics 620 to provide better graphics visuals. This device is powered by the 8th Gen Intel Core i5 processor with 6M Cache and max frequency up to 3.40GHz. It is equipped with 8GB of DDR4 RAM and 256GB of SSD drive, which provides smooth multitasking working experience. And SSD helps to shorten the boot-up times and load the applications faster than the HDD drive. It has included 2-cell 30 Wh Lithium Polymer battery, which provides up to 5 hours of battery backup on one-time charge. It comes with 2 x USB 3.0, 1 x USB 3.0 Type-C, 1 x HDMI, 1 x Headphone/Microphone Combo Jack, 4-in-1 Card Reader and Optical Drive. 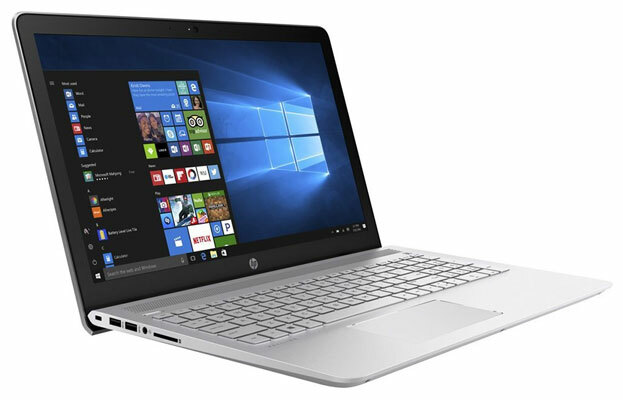 This HP Pavilion is for those who are looking for a laptop with an attractive look. And its silver metal finish chassis gives premium look and feel. It comes with a stunning 15.6 LED backlighting touchscreen display with 1366 x 768 pixels of HD resolution. This device runs on the Windows 10 operating system which works out of the box with its touchscreen display. This laptop features 8th Generation Intel Core i5 Quad-Core processor with turbo boost technology up to 3.4 GHz. It has 12GB of DDR4 RAM, which takes care of everything from multi-tasking to playing games gets a performance boost. With this HP laptop, you no need to worry about growing your collection of movies, songs, and pictures because it housed with huge 1TB of HDD drive storage. It has all the essential ports and slots except an optical drive and integrated with Intel UHD Graphics 620 for casual gaming. This device stays powered up for up to 7 hours and 45 minutes on a full charge which is impressive. 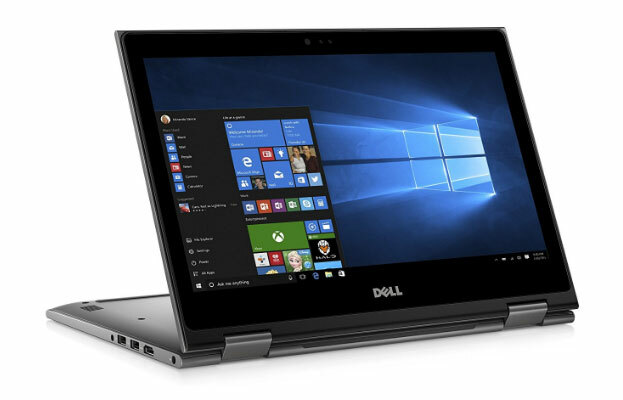 This Dell Inspiron 13 5000 is the second laptop from the Dell in this list but this one is 2 in 1 convertible laptop. So if you are looking for a convertible laptop along with portability for QuickBooks then this the best option for you. This Dell laptop has got a very impressive look with its Theoretical Gray metal finish chassis. As a convertible laptop, it has got an innovative 360-degree hinge which allows you to use this device in four different modes. It has 13.3-inch of full HD Truelife LED-Backlit touch display with IPS technology which delivers accurate colors from a wide-viewing angle. Let’s move towards the specs of this device, this convertible laptop is powered by the 8th Generation Intel Core i5-8250U processor and coupled with 8GB of DDR4 RAM which is further expandable up to 16GB through additional memory slot. 256GB of SSD drive this laptop has got which is enough to install and run QuickBooks smoothly but not enough to store all your movies, songs, pictures etc. Actually, SSD is better than the HDD drive as it provides smooth performance and improves the overall performance of the laptop. So these are my top recommended best laptops for QuickBooks. 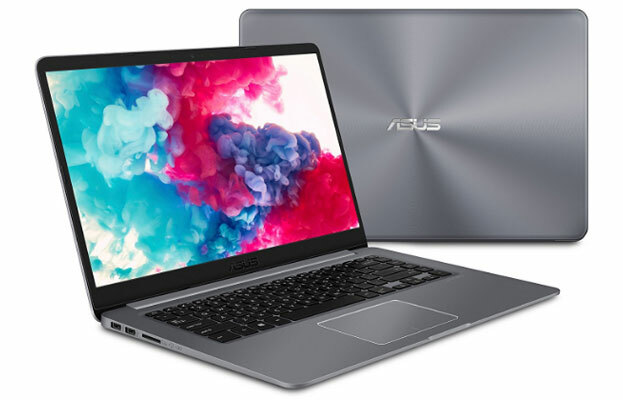 Here I suggest you before you are choosing any of the laptops from the above first just go through all the laptop’s specs and then choose the one which is perfect as per your need and budget. I hope that this laptop buying guide is helpful for you. Still, if need any help regarding the laptop then feel free to ask me by just commenting below.